Uber has hired its first chief privacy officer, as well as a former TomTom executive in charge, ensuring the ride-hailing company complies with the EU’s data protection laws. The new hires, which were announced to Uber employees in an internal email, aim to help the company strengthen its privacy standards and data protections. Ruby Zefo, who was hired as chief privacy officer, will be based in San Francisco and is expected to start August 6, according to an email sent to Uber employees Wednesday. Zefo led Intel’s global privacy and security legal team. She also serves on the board of directors for the International Association of Privacy Professionals. Zefo’s appointment is part of the company’s recent mission to move past an embarrassing data breach, as well as other weak privacy practices employed by former CEO Travis Kalanick, who resigned last year after a string of scandals. In April, Uber expanded a proposed settlement made with the Federal Trade Commission pertaining to data mishandling, privacy and security complaints that date back to 2014 and 2015. That proposed settlement happened prior to Uber’s disclosure of the massive 2016 data breach that affected some 57 million riders and drivers. Uber has been working toward the CPO role for some time. The company has had privacy experts working in various departments, such as engineering and legal. These folks were responsible for a variety of protections, such as privacy settings available to riders in its app and a platform to protect big data analysis. Now Uber has brought on an executive to pull together privacy standards, procedures and processes in every market where it operates. Uber has also hired Simon Hania as its data protection officer, as mandated under the EU’s General Data Protection Regulation. Hania, who will report directly to Uber’s chief legal officer Tony West, is there to make sure Uber complies with EU privacy laws. The company previously used an outside firm in the Netherlands to handle this job. Hania is Uber’s first DPO hire. Hania previously worked at TomTom, where he was vice president of privacy and security and focused on connected and autonomous vehicles, and wearable technologies. Don’t get caught with a fine that could shut down your business for good. 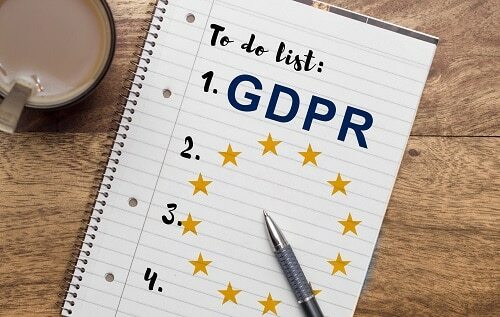 Ensure GDPR compliance with MDS.